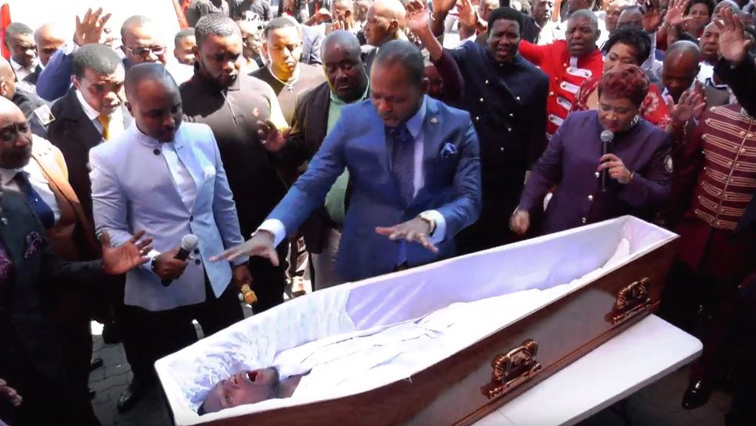 In the wake of the so-called resurrection miracle, there are fresh allegations against Prophet Alph Lukau’s Alleluia Ministries International. It has emerged that some congregants are used to faking illnesses and disability during sermons to stage miracles. In an SABC News exclusive, Samantha Revesai has spoken of how she was allegedly cured of HIV after being prayed for by Lukau. Revesai says she visited the church in late 2017 asking for prayers in the hope of finding a job. She says she was given a paper from a doctor showing the results of her HIV negative status. But she says the whole thing was staged. Catch the full story on Cutting Edge on Tuesday at 9:30pm on SABC 1. The post ‘Alleluia Ministries congregants fake illnesses to stage miracles’ appeared first on SABC News – Breaking news, special reports, world, business, sport coverage of all South African current events. Africa's news leader..